Looking for a rental in San Francisco? Be careful! 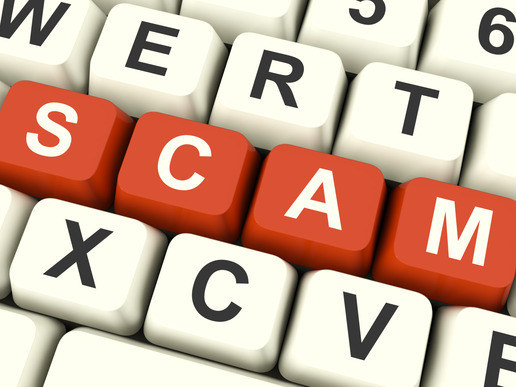 There are lots of internet scams out there, especially when it comes to rental housing ads. I have some suggestions to help you to avoid falling victim. Here is how the fraud works… the scammer lures prospective tenants by posting very convincing ads on various legitimate rental websites using addresses and photos and descriptions of real San Francisco apartments and condos. They usually just copy the details and photos from properties that were recently advertised online for sale. The scammer advertises these places on many web sites, often with rents that seem attractively low. Once you contact them, they will eventually ask you to provide confidential info or request that you apply or send money to them to secure your spot in order to arrange a showing appointment, don’t do it! They even sometimes use the name of the legitimate local real estate agents and brokers. Presumably this is to confuse the prospective tenant in to thinking that they are dealing with a reputable person. Of course they conveniently include a bogus phone number and email link so that you communicate with the scammer directly and not with any actual legitimate agent. Be sure you are using reputable rental sites (like LiveLovely.com or Trulia.com) and always keep your eyes open for red flags or things that don’t seem to add up. Although the reputable sites do get many fraud postings, they are more likely to remove those scams quickly when they get flagged. If you contact an owner about an apartment and he or she is unwilling or unable to show you the apartment within a few days, move on. If there is a dramatic story about illness or death or distant family members causing a delay in the showing, move on. If the language that the “landlord” uses seems very odd to you, move on. Never ever ever complete an application or send money to anyone until you have personally toured the apartment. Also when you do go to see an apartment, don’t go alone. If you find a place that looks interesting, I suggest that you Google the address to see if there are other ads online for that address. Use a few versions of the address in your searches, like 123 Main Street #5, San Francisco or 123 Main St Apt 5 San Francisco. If your online search turns up some links to the same unit currently listed for sale on major real estate sites like Zillow.com or Realtor.com, then that’s a sign that the property may not actually be for rent and you are likely dealing with a fraudster. While it is possible that a property could be legitimately advertised for both sale and rent simultaneously, it is not the most likely scenario. In any event it would be easy enough to decipher by speaking with the actual agent representing the seller. You should also Google the name of the agent, for example if the ad says to contact Patrick Lowell at Zephyr Real Estate for information, just Google that name to see if the phone number and website that you find online match what’s in the ad. If you are not sure if an ad is legitimate and you’ve searched for the agent’s name and found a phone number that is different, call it and speak with the agent. Often it is someone like me who can tell you right away that the ad is a scam and that they did not post it. Bottom line, follow your gut, if something does not seem right, it probably isn’t. Trust your instincts. Remember: NEVER send money or complete any application until you have toured an apartment in person. This is to acknowledge your e-mail and interest to reserve the apartment. Once again I would gladly lease this apartment to you, but i have to state quite clearly that if this is your intention, that is if you truly and really intend to lease this apartment then you will have to make sure its yours by securing it now as i cannot guarantee that it will still be available in the next few days for the period you intend to move in. So you can have the apartment reserve now for your intended move in date if you wish. With regard to your requested, the unit is available for short and long term lease and can be rented Unfurnished, if you wish to bring your furniture you are free to do so (the rent price for the unit unfurnished is $2,500 monthly) and it is so guaranteed in the lease contract. There is washer/Dryer in the unit (laundry in unit), central air conditioning and assign parking and pet friendly. About viewing: Please note that the apartment will be available for viewing from August 22nd,2015 because the current occupant is out of the city for relocation and the lease will expire 10:00 am on the 20th of August and the unit will be cleaned up the following day which is why I said that the earliest viewing date is (August 22nd) so you can schedule to come view the unit as from August 22nd and can also possibly move in that same day if you wish. Please understand that the rental market in San Francisco is competitive so the apartment is on high demand and if you are really interested in this apartment I will advice you try and secure it now so that you do not loose it to other prospective tenants who are also in contact. Like I said before who secures it first gets the unit. To reserve this unit you will have to deposit only the first month’s rent plus the refundable security deposit after completing all the relevant rental documents. The terms and conditions of the contract gives you full refund if you do not want the apartment upon viewing. – One Month rent with a refundable security deposit. – 3 months upfront rent payment attract 10% discount of the total plus refundable security deposit. – 6 months upfront payment attract discount of 15% of the total rent plus a refundable security deposit. – Upfront payment a year lease attracts 20% discount of the total rent with a refundable security deposit. Do find the attached tenancy application form for you to fill and return back to me along with your credit report by fax or e-mail attachment and as soon as I receive the filled form I shall forward the lease agreement contract for you to review. I will await your earliest response so that we can proceed with the securing of the apartment for your lease duration. I am 100% confident that if you like what you saw online, you will surely go ahead and take it because the pictures represent the present conditions of the apartment. Posted in Education, Rental Information.